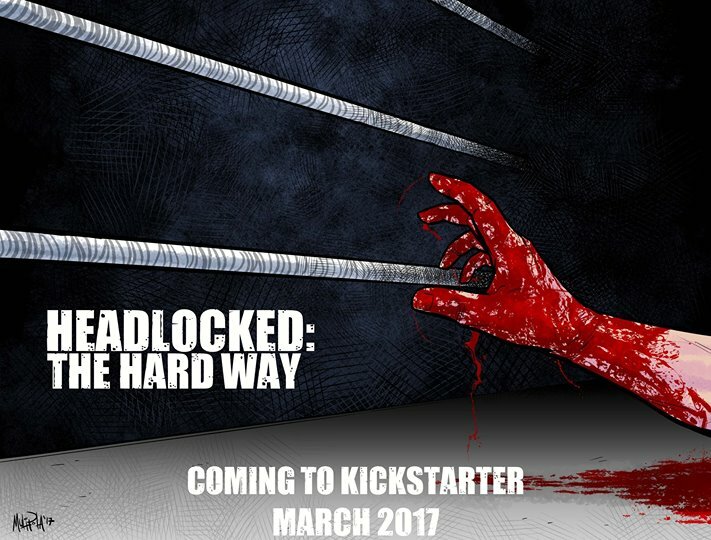 Mike Kingston: Headlocked is an HBO-style drama about a kid breaking into the wrestling business. As he's attempting to learn the art and the craft of wrestling, he's got to navigate the seedy underbelly of the business in his quest to get to the bright lights and the big stage. The cool thing about the book is that most of the art is done by actual professional wrestlers. TheSteveStrout: What inspired you to create this series? 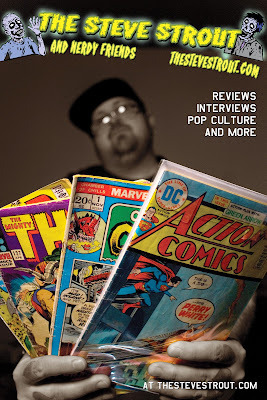 Mike Kingston: I've been a fan of wrestling and comics since I was 8 years old. I bought every wrestling comic that ever came out. Sadly, most of them were horrible...Undertaker fighting demons, Kevin Nash as Mad Max, Ultimate Warrior stripping Santa Claus naked. It eventually became apparent to me that no one was going to make the wrestling comic that I, as a wrestling fan, wanted to read. So I decided to make it myself. TheSteveStrout: Do you have any background in the pro wrestling business? Mike Kingston: I've been a fan and a student of the business for almost 20 years. When I decided I was going to write the book, I spent a couple of days taking bumps and running the ropes just to get a feel for it. But that's largely the extent of my physical background in wrestling. TheSteveStrout: The series has been pretty well received by critics and fans for offering a realistic view of the pro wrestling business. Was that a selling point when pitching the project to the many wrestling stars who contributed? Mike Kingston: Initially, I didn't have anyone attached. It was just me and my wrestling comic in artist alley. 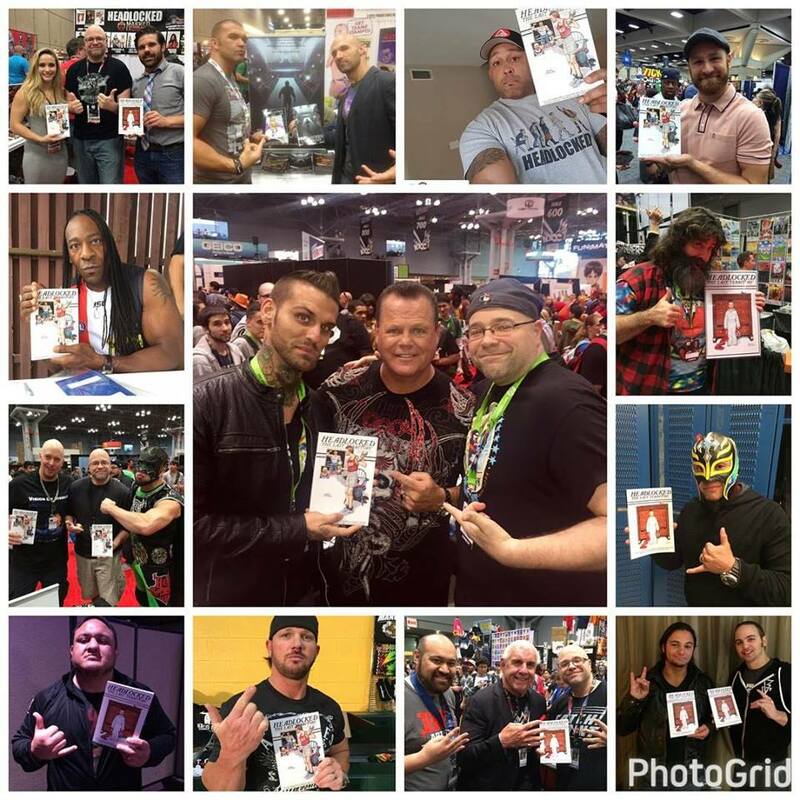 As time went by, I would meet the wrestlers who liked comics at various conventions that they were attending as fans. They really liked what I was doing and offered to help...the rest is history! TheSteveStrout: You worked with some great wrestlers like Mick Foley, AJ Styles, and Christopher Daniels. Who were some other notables, and were you surprised by the level of creativity in these guys? Mike Kingston: The big name for me will always be Jerry Lawler. He's one of the most famous wrestlers in history and he's an incredible artist. 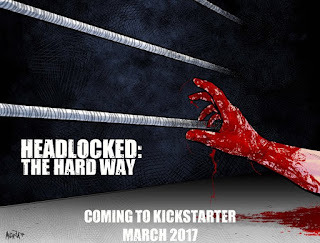 Jerry agreeing to be the cover artist on Headlocked was the big thing that really pushed us to that next level. For our upcoming book, we're working with Ric Flair...it's pretty amazing. As far as the creativity goes, its not really shocking. These guys have been telling stories for years...in the ring, in the bar, in the car on the way to the next town...you can't get to that level in wrestling without being an expert level storyteller. TheSteveStrout: Whats next for Headlocked? Touring with the books? Writing the next chapter? Mike Kingston: We're launching our next Kickstarter at Emerald City Comic Con. It features stories from Flair, Foley, Cody Rhodes, and Kenny Omega. Tugboat and Lince Dorado are drawing for it...it's the biggest lineup we've ever had and I'm hoping it pushes us to new heights. TheSteveStrout: I'm assuming you're a big wrestling fan, based on the love you put into Headlocked, so as a fan, If you could have any wrestler past or present contribute to Headlocked (that hasn't already), who and why? Mike Kingston: My bucket list of contributors consists of Paul Heyman, Terry Funk, John Cena, Harley Race, Dolph Ziggler, Zack Ryder, Kevin Owens & Steve Austin. Heyman is number one on the list for sure! 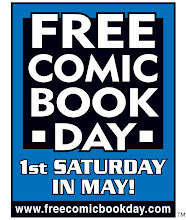 TheSteveStrout: Have you worked on any other comic projects before this? Mike Kingston: I've done a few projects with people that never ended up seeing the light of day. I did have a short story in one of the Chikara comic books that was a lot of fun. TheSteveStrout: Are you working on anything else, or exclusively Headlocked? Mike Kingston: I'm working on some stories for the Boom Studios WWE comic that I'm co-writing with some of my famous friends. Can't really say much more than that right now. TheSteveStrout: Emerald City Comic Con is right around the corner. 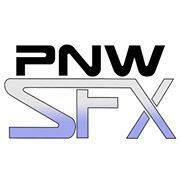 How well recieved was Headlocked in beautiful Seattle, Washington last year (Sorry had to go for the Foley 'cheap pop'!)? Mike Kingston: Last year, ECCC was off the hook! I sold out of all my comics on Saturday afternoon. Hoping for a repeat performance this year since we have a new book available this time. 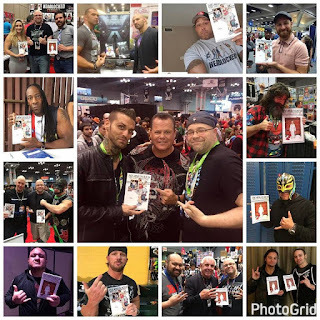 TheSteveStrout: Last year at ECCC you brought along cover artist and WWE Hall of Famer Jerry "the King" Lawler to sign books. This year brings the legendary Ric Flair to ECCC with you. Its really exciting for us fans, but what does it mean to you that these legends feel so strongly about Headlocked that they come out in support of the books? Mike Kingston: It's the biggest cliche in the world to say this but its not something I could ever accurately put into words. Eight year old me loses his mind every single day. TheSteveStrout: What are some upcoming conventions you're bringing Headlocked to? TheSteveStrout: Anything you'd like to add? Mike Kingston: Check us out on Kickstarter. 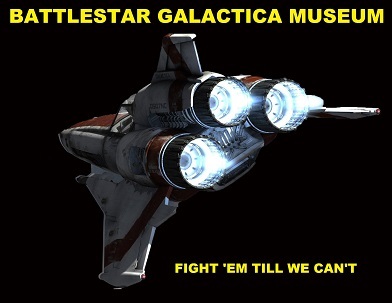 The campaign drops on March 1st and there is early adopter pricing for folks to get the books cheaper. Also, we hold a lottery at the end of the campaign for the people that pledge in the first week to win some amazing signed items. 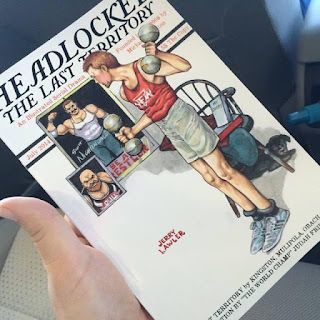 TheSteveStrout: Where can readers find Headlocked on social media, and for purchase? Mike Kingston: As far as social media goes, everything is at Headlockedcomic...we're on everything. People can purchase the books at our website, which is headlockedcomic.com. But I would encourage anyone that's interested in supporting the series to back the Kickstarters...you get 30-40 extra pages of bonus material by famous wrestlers...and those books aren't available anywhere else. Be sure to stop by the Headlocked booth at Emerald City Comic Con this weekend, where Mike will be joined by none other than the legendary WWE Hall of Famer "the Nature Boy" Ric Flair! !